Egg-laying bunnies, sunrise services, Lent—such strange customs. What do they have to do with Jesus’ resurrection, anyway? Maybe there’s something you haven’t been told. Millions of professing Christians will rise a little early come Easter Sunday—just so they can participate in a local “sunrise service” ostensibly honoring Jesus’ resurrection. Later that day, little children will hunt for beautifully-decorated Easter eggs, supposedly laid by the Easter bunny. Catholics, of course, weeks earlier began the season with Lent, a forty-day period of abstinence and “mourning” leading up to Easter. What does it all mean? Where’s the biblical connection of Easter to Jesus’ resurrection? And why didn’t Jesus teach His disciples to observe Easter? Ask the average Christian why he or she holds to a particular belief or practice and you’ll probably get a blank stare. “It’s a tradition,” some might answer. Or, “The church teaches it.” But the fact is, most people don’t have a clue as to the origin of much of what they embrace as truth. Typically, people tend to just accept what they are told—without thinking. The result is that many “Christians” unknowingly find themselves participating in what are actually ancient traditions founded in pagan mystery religions that flourishing thousands of years before Christ! So, if there is no biblical basis for Easter, where and how did it originate? Astonishingly, Easter has its roots in ancient, polytheistic pagan religions. Countless scholarly books and reference materials document the historical development of Easter—clearly demonstrating that it is fully pagan in origin. In Come Out of Her My People, Dr. C. J. Koster, writes: “The whole subject of Easter, its Sunday-emphasizing date, and its pagan emblems and rites, such as Easter sunrise services, is crowned by the general admission that the word ‘Easter’ is derived from the name of a goddess, the dawn-goddess, the spring-deity, the goddess of fertility. Alexander Hislop, in The Two Babylons, writes that Easter “is not a Christian name. It bears its Chaldean origin on its very forehead. Easter is nothing [more] than Astarte … the queen of heaven, whose name, as pronounced by the people of Nineveh, was evidently identical with that now in common use in this country [England]. That name, as found … on the Assyrian monuments, is Ishtar.” 5 In other words, the ancient Assyrians pronounced Ishtar the same way we pronounce Easter today! Historically, laments were held for the departed Tammuz for forty days—a day for each year of his life. The period ended, of course, in the early spring at his “resurrection.” Hislop writes: “The forty days [of] abstinence of Lent was directly borrowed from the worshippers of the Babylonian goddess [Ishtar].” 9 Is it a mere coincidence that Orthodox Christendom today practices a peculiarly similar custom—Lent’s forty days of mourning and abstinence leading up to Easter? Sir James Frazer, author of The Golden Bough, adds this: “The sorrow of the worshippers was turned to joy…. The resurrection of the god [Tammuz] was hailed by his disciples as a promise that they too would issue triumphant from the corruption of the grave.” 10 Note the uncanny parallel between the so-called “resurrection” of Tammuz and the biblical teaching on the resurrection of the saints (Rom. 6:5; I Cor. 15:12; etc.). Considering its clearly pagan origin, just how did Easter find its way into Christianity? 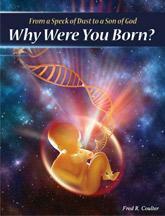 The answer has to do with syncretism—the reconciliation or fusion of differing systems of belief. After the death of the apostles, the Church began to grow rapidly among Gentiles, particularly in the West. After several decades, the church at Rome—now apostate but possessing considerable political and financial clout—became dominant. Determined to bring the masses of pagans into the church, Orthodox leaders in Rome were careful not to force them to abandon their idolatrous celebrations. Craftily, church leaders found a way to blend various ancient customs and pagan practices—and then apply them to Christian doctrine. Easter itself is largely a convergence of various heathen traditions applied to Jesus’ death and resurrection. The Catholic Church also uses the term Christianization to describe this mixing of pagan rites with Christian practice. When Polycrates firmly refused to agree to the demands of the Roman church, Victor proceeded to excommunicate him—as well as all Christians who continued to observe Passover. The excommunication, as it turned out, lacked authority; nothing really changed except East and West drifted further apart on numerous issues. With the authority of imperial Rome finally behind it, Easter soon came to replace the Passover within visible, organized “Christianity.” True, faithful Christians were forced underground in order to continue their observance of the biblical Passover. Are the Scriptures Silent on Easter? While there is clearly no biblical support for Easter, the Scriptures actually do have much to say against Easter—both directly and indirectly. Interestingly, the Babylonian Astarte—and the Assyrian Ishtar—are referred to dozens of times in the Old Testament using the Hebrew word Ashtaroth (Ashtoreth, Asherah), typically translated as groves in the KJV. Such groves were used in idolatrous ritual celebrations. For example, “And the children of Israel did evil in the sight of the LORD, and forgot the LORD their God, and served Baalim and the Asherahs” (Judges 3:7, New King James Version). This verse could just as well be translated, “and served Baalim and Easter”! Surprisingly, “sunrise services” are mentioned in the Bible as well—but only in a negative way. The prophet Ezekiel was shown, in vision, an important prophecy concerning the sins of God’s people—then and today. “And He said to me, ‘Turn again, and you will see greater abominations that they are doing.’ So He brought me to the door of the north gate of the LORD’S house; and to my dismay, women were sitting there weeping for Tammuz”—the false messianic figure who dies and is resurrected every spring!—“Then He said to me, ‘Have you seen this, O son of man? Turn again, you will see greater abominations than these.’ So He brought me into the inner court of the LORD’S house; and there, at the door of the temple of the LORD, between the porch and the altar, were about twenty-five men with their backs toward the temple of the LORD and their faces toward the east, and they were worshiping the [rising] sun toward the east. And He said to me, ‘Have you seen this, O son of man? Is it a trivial thing to the house of Judah to commit the abominations which they commit here?’ ” (Ezek. 8:13-17). Can we begin to put the pieces of the puzzle together—Asherahs, the “queen of heaven” with her cakes, worship of the sun, Tammuz—and see that the “Christian” Easter has been contrived of ancient myths, and is itself nothing but a pagan abomination? Consider God’s warning to Israel as they possessed the land He had promised to them: “Observe and obey all these words which I command you…. [And when you] dwell in their land, take heed to yourself that you are not ensnared to follow them … and that you do not inquire after their gods, saying,‘How did these nations serve their gods? I also will do likewise.’ You shall not worship the Lord your God in that way; for every abomination to the Lord which He hates they have done to their gods…. Whatever I command you, be careful to observe it; you shall not add to it nor take away from it” (Deut. 12:28-32). God tells Christians: “Do not learn the way of the Gentiles….” (Jer. 10:2)—do not even mention the name of their gods! (see Ex. 23:13). The apostle Paul wrote: “Do not be unequally yoked with unbelievers. For what do righteousness and lawlessness have in common? And what fellowship does light have with darkness? And what union does Christ have with Belial? Or what part does a believer have with an unbeliever? And what agreement is there between a temple of God and idols? For you are a temple of the living God, exactly as God said: ‘I will dwell in them and walk in them; and I will be their God, and they shall be My people.’ Therefore, ‘Come out from the midst of them and be separate,’ says the Lord, ‘and touch not the unclean, and I will receive you’ ” (II Cor. 6:14-17). Do we really believe these plain scriptures? Clearly, a true Christian can never mix what is godly with what is pagan—or the true with the false! For God can only be worshipped in a spirit of truth (John 4:24). Today’s Easter tradition is developed around a “Good Friday” afternoon crucifixion and an “Easter Sunday” sunrise resurrection. What most Christians fail to realize is that this scenario threatens to annul the onlysign Jesus gave as proof that He was the Messiah—that He would be in the grave exactly three days and three nights. “For just as Jonah was in the belly of the whale three days and three nights, in like manner the Son of man shall be in the heart of the earth three days and three nights” (Matt. 12:40). What’s more, Scripture nowhere instructs Christians to honor Jesus’ resurrection. Rather, we are commanded to commemorate His death through the Passover (see Luke 22:19-20; I Cor. 11:23-26; etc.). Again, Easter—which focuses on Christ’s resurrection—is proven false. This all begs the question: What god is really being honored by Easter? Who is the real savior central to the Easter Sunday tradition? Is it the Jesus Christ of the Bible? Or, could it be that traditional Christianity is unknowingly worshipping a false savior—another “Jesus”? It’s been said that “the most dangerous counterfeit is the one that most closely resembles the truth.” The master counterfeiter is Satan the devil, the “god of this world” (II Cor. 4:4)—and he is actively deceiving the whole world (Rev. 12:9). Could you too be deceived? Koster, Dr. C. J, Come Out of Her My People, Institute for Scripture Research, South Africa, 1998; pp. 24, 27. The Encyclopedia Americana, 1956 edition, p. 506. The Catholic Encyclopedia, vol. 5, p. 227. Coulter, Fred R., Occult Holidays or God’s Holy Days—Which?, York Publishing, 2006; p. 55. Frazer, James, The Golden Bough, p. 350. The Encyclopedia Americana, p. 506. Bacchiocchi, Samuele, From Sabbath to Sunday, p. 198. 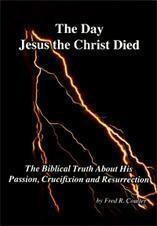 For a detailed accout of Jesus’ death and resurrection, see The Day Jesus the Christ Died by Fred Coulter.